Synology® RackStation RS2414+/RS2414RP+ offers a high-performance, scalable, and full-featured network attached storage solution that meets the needs of business that requires an efficient way to centralize data protection, simplify data management, and rapidly scale storage capacity with minimal time spent on setup and management. 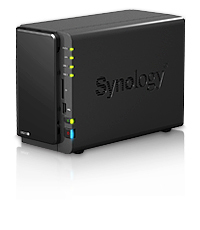 The Synology RS2414+/RS2414RP+ is backed with Synology’s 3-year limited warranty. SKU: RS2211RP+30TB56 Category: 2RU Expandable Ultra High Performance NAS Servers. Tags: enterprise, rackmount, synology.